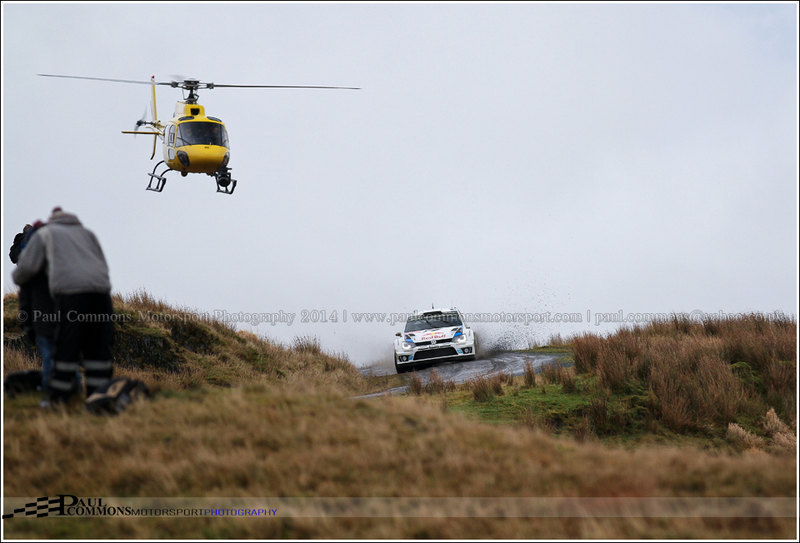 My penultimate event of the year was a big one; heading to the forests of Mid and North Wales for Wales Rally GB. My 29th visit and 18th in a row to the annual World Rally Championship finale may have bore little resemblance to my first taste of the “RAC”; confined to a small part of Wales as opposed to traversing the length and breadth of the UK in years gone by but there was however a lot to like about this years event. Tempted by Maesnant, but not by the required extra early start, we headed instead to the infamous Sweet Lamb complex knowing that parking would be less of a problem. In fact parking was no issue at all, with an arrival 2.5 hours before first car buying us a third row spot and ample time for a cuppa! 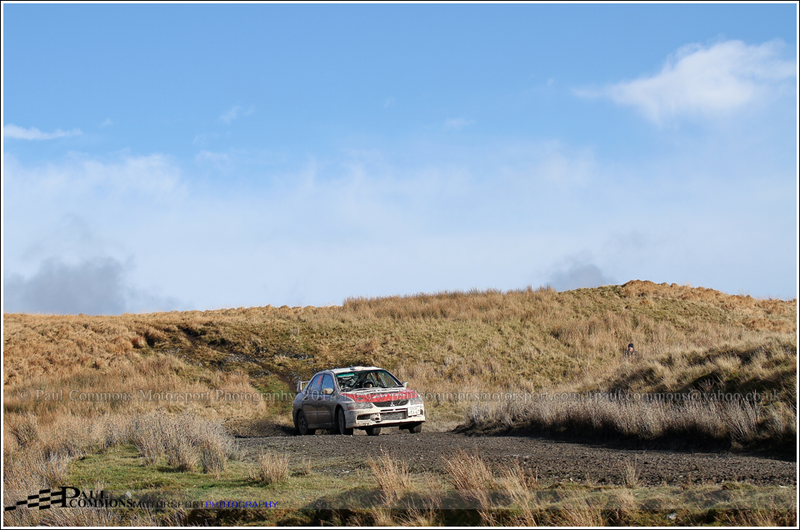 Up over the top and the fast tricky section towards the old mine was our first point of call; the downhill section heading down the mountainside the scene of one or two large offs in years gone by including none other than the late great Colin McRae. By the time the cars reached us, 2014 champion, Sebastien Ogier had already opened up an 8.9 second lead over teammate Jari-Matti Latvala. The Finn however managed to pull back a couple of precious seconds on the Hafren Sweet Lamb test suggesting this was by no means a foregone conclusion. 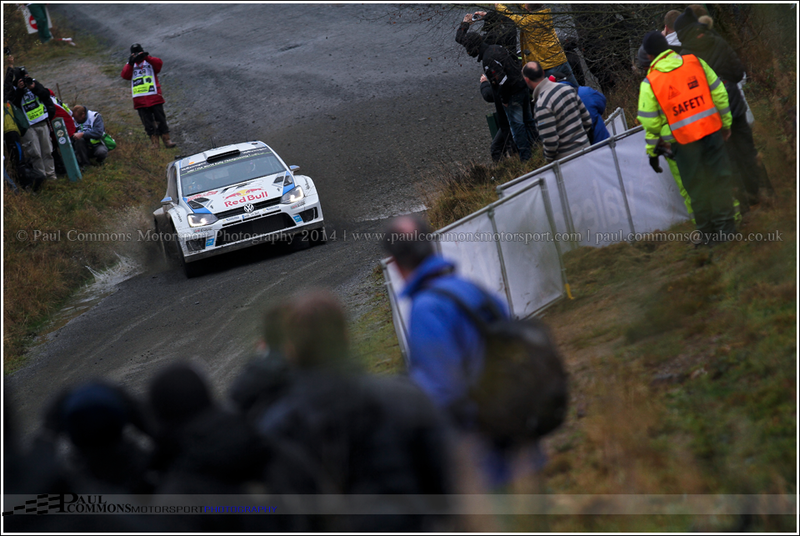 The third VW in the hands of Andreas Mikkelsen though was already out of contention having damaged the suspension of his car following an off in Dyfi. 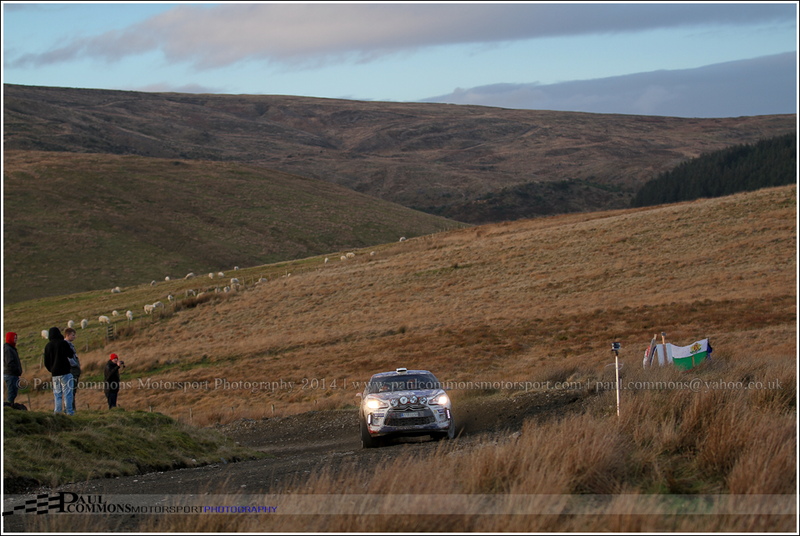 The wet conditions of the morning were replaced with a dry and sunny afternoon; the blue skies a positive shock to the system as the cars headed back out of Deeside for the afternoon loop of stages. Continuing to avoid “The Bowl” we moved to the hillside above the main spectator area to a very fast open 90 right which did not disappoint …. 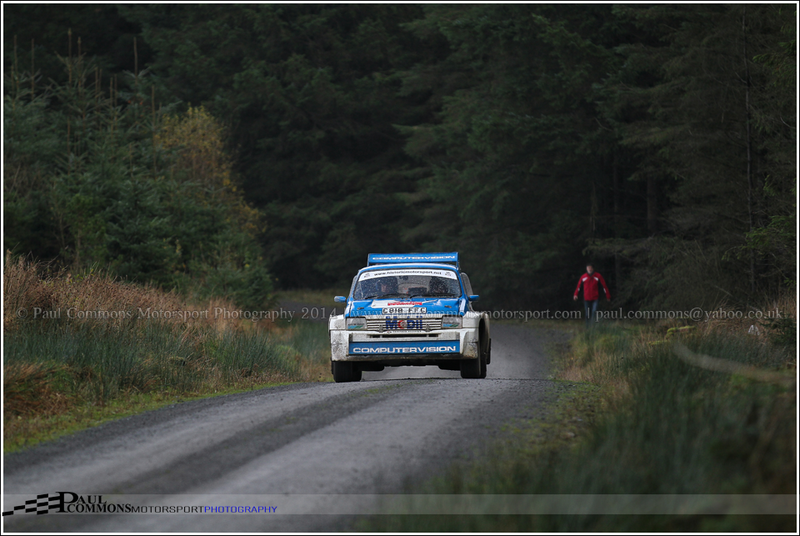 Whilst the two VW’s continued to trade times and pull away up front, the battle behind was really hotting up. Mads Ostberg had held third at lunch, but was caught and passed by the Ford of the outgoing Mikko Hirvonen and Citroen teammate Kris Meeke. And by the end of the day there was just 20 seconds covering Hirvonen in third and the sixth place Hyundai of Thierry Neuville, with local man Elfyn Evans not far behind in seventh. Lengthly queues heading out of Sweet Lamb meant canning plans for Deeside, replaced instead by a stop for chips in Welshpool and an early night in Dyfnant forest. After a surprisingly good nights sleep and a bacon sandwich we made the long trek from spectator car park N to junction 18 of Dyfnant; the fourth stage of the day. 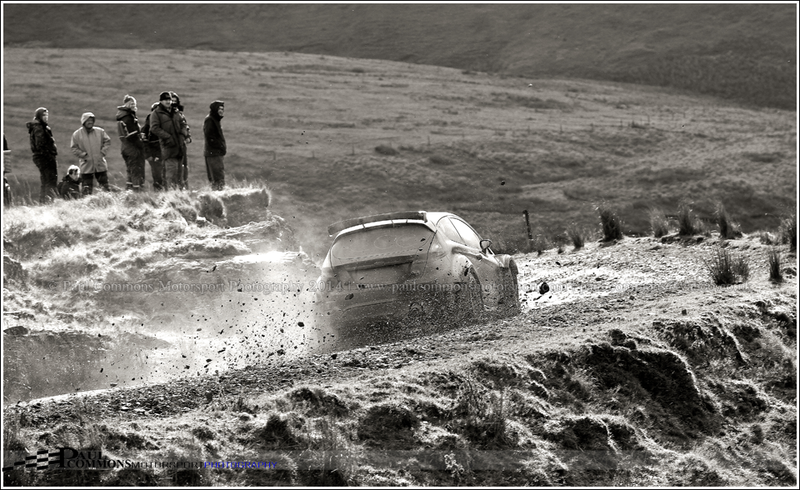 As the fog started to clear it emerged that Latvala’s chances of victory were over having become stuck in a ditch in on the mornings first stage of day, Clocaenog East. This eased the pressure on Ogier as he now had a more than comfortable lead of 1m 10 seconds over Hirvonen’s Fiesta. In part due to the Frenchman’s relaxed pace, Super-Rally returnee Andreas Mikkelsen set out to prove a point as he went on to set fastest time on all 4 of the morning stages. 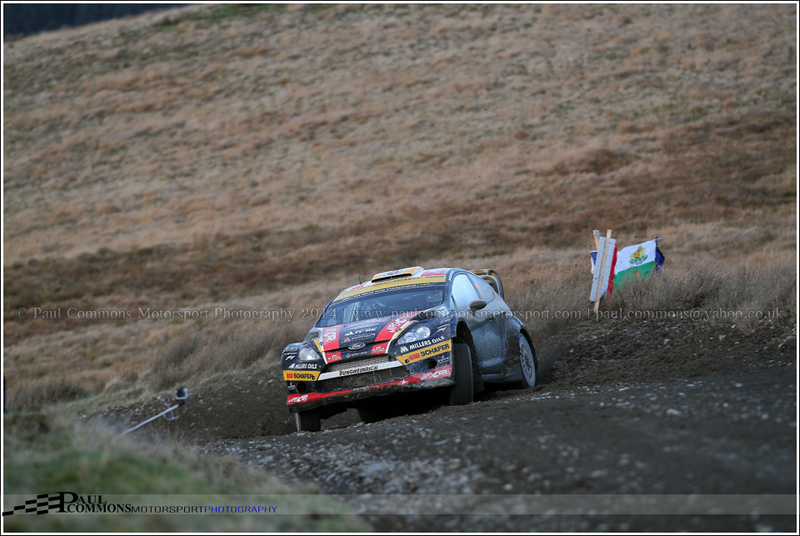 Not that it meant a great deal though as he was left languishing in 52nd place and ruing his first stage mistake! Latvala’s demise had allowed home hero Kris Meeke to move up to third overall, the Northern Irishman now just a couple of seconds behind Hirvonen. Unfortunately we would only see the top fifteen cars at a competitive pace through Dyfnant 1 as a result of an injury to a volunteer Marshall. I hope he/she is well on the road to recovery. 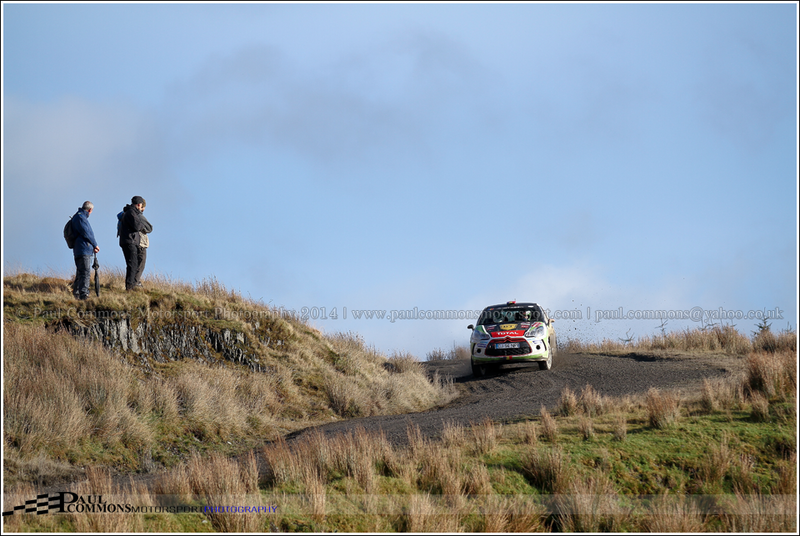 With the break in proceedings we decided to head back up the stage to watch the National rally at a tightening 90 left. It was good to see a wide variety of cars in the event, including the glorious Stratos of Steve Perez, taking part as a warm up for the highlight of my season in just under 1 weeks time (The RAC), and the awesome Vauxhall Firenza in the hands of Jimmy McRae. The event turning out to be an all Scottish Mitsubishi affair with the victory going the way of Mike Faulkner and Peter Foy. The podium rounded off by the similar machines of Andrew Gallacher and Barry Groundwater. 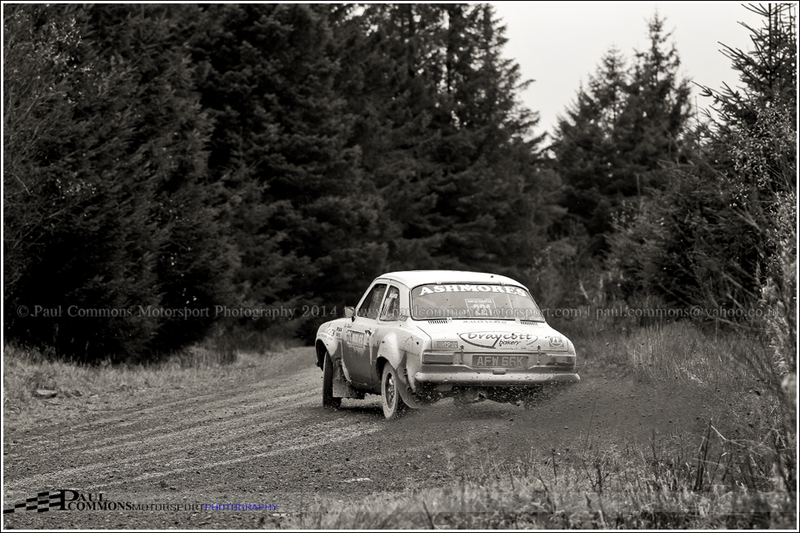 It seemed a much longer walk back to the car following the completion of the stage by the National Rally competitors. In fact it was an absolute monster of a walk and only left us with an hour to sit down before heading to Junction 13 for the second running of Dyfnant, this time in complete darkness. The spectator area at this open hairpin right was a little limiting for photographs but the spectacle was still a good one. Stage 13, Chirk Castle, had seen a surprise winner in Henning Solberg and the second running of Clocaenog East brought a cheer from the home support as Kris Meeke’s stage victory moved him up to second place overall. 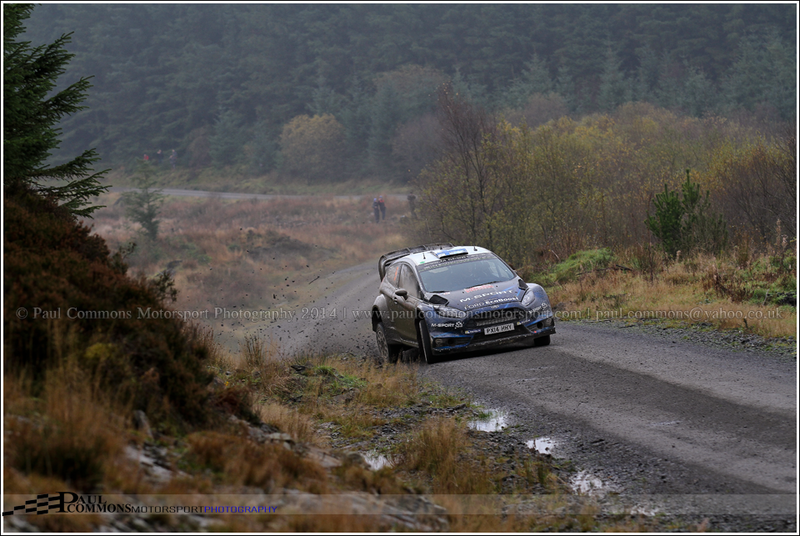 This would not last long though as Hirvonen’s fastest stage time in Clocaenog Main reversed the positions with the order subsequently remaining the same throughout the remainder of the day. Elfyn Evans had had a great day behind the wheel of his Fiesta and was now lying in 6th place, just 8 seconds behind the Hyundai of Thierry Neuville, himself just three seconds behind the second Citroen of Mads Ostberg. This trio had however been unable to match the pace of the immense fight for second place and were now 40 seconds further back. Meanwhile Ogier had not taken a single stage win all day as the double champ casually went about his business, leaving his VW teammates to each take a stage victory on the final 2 tests of the day. A rather uninspiring trip to Deeside followed, but did at least provide dad the opportunity to purchase the obligatory over priced merchandise! The thought of a second night in the car was not an exciting prospect and although we ended up in a nice spot by the side of Llyn Brenig in car park R we did have the misfortune of being only 5 cars down from the inhabitants of a white van/motor home who were adamant on keeping everyone else awake! The “music” still going on when our 5am alarm went of! At 6am, not entirely sure of where we were on the map we decided to head across the road into Alwen through car park S to junction 7, have a look at 8 and 3, but eventually end up at the tight uphill hairpin of junction 6. Knackered we awaited the first car. While Ostberg set fastest time on both the opening Brenig and Alwen tests, home heroes Meeke and Evans were both closing in on their rivals. Mikkelsen’s up and down rally on the other hand came to an end on the morning loop of stages, the Norwegian failing to make it to the end of the Alwen test. 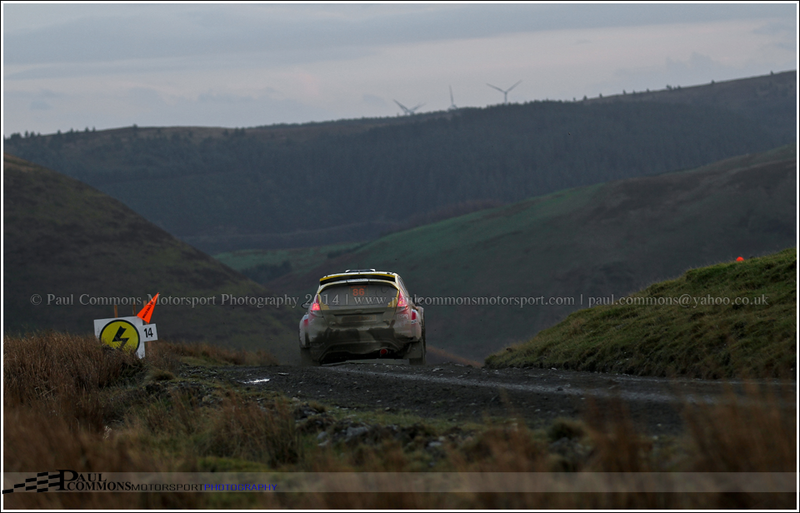 With a significant amount of tree growth since the last time we visited Alwen, it was not the spectacle we remembered and so there was no alternative but to head back across the road and dam into Brenig for the second loop of stages. While dad couldn’t go further than the dam without a sit down, I somehow managed to muster the energy to have a look at the twisty section above junction 14 before finally settling on a very muddy slight right just after 13. 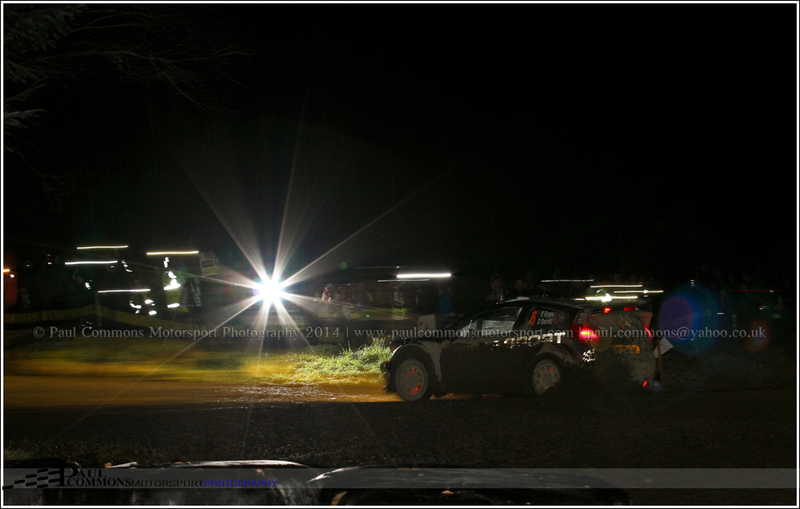 And fortunately the action here was good …..
Disappointingly Meeke’s exceptional drive was now starting to unravel, a mistake causing the Northern Irishman to lose 51 seconds in Alwen and a further 44 in Brenig, dropping him to 6th by the end of the rally. A slight excursion had caused damage to two tyres, and with just the single spare there was no alternative but to nurse the car through the remaining tests. On a more positive note, Welshman, Elfyn Evans was rewarded for a great effort on his home event with a phenomenal 5th overall, setting some great stage times along the way. I really hope he keeps his drive for next year. 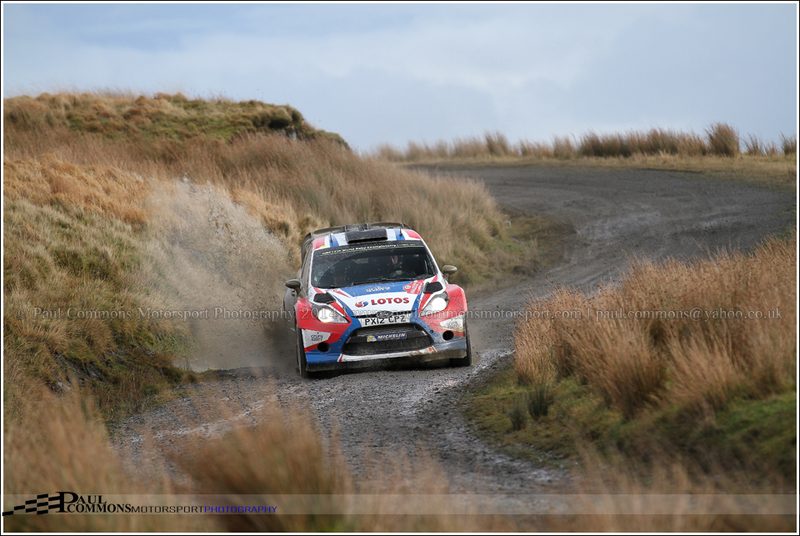 Latvala was clearly focused after lunch; following up his fastest time in Alwen with ‘Power Stage’ victory in Brenig; a nice way to finish off his championship year but disappointingly only finishing the rally in 8th place overall. The spectators were robbed of any real fight for victory following his off on Saturday morning, which left teammate Sebastien Ogier to literally cruise to victory by 37.6 seconds. With the VW’s being in a class of their own, Mikko Hirvonen will have been absolutely delighted with 2nd place; a great way to end his WRC career. And Mads Ostsberg’s battling performance to third place was enough, when combined with Meeke’s 6th position, to seal the runner up spot in the Manufacturers championship for Citroen. While Thierry Neuville was the first Hyundai home in 4th position which represented yet another mighty impressive performance by the Belgian; surely a future champion. Further back, Ott Tanak finished a credible 7th in his Ford, while Martin Prokop finished 9th in his privateer Fiesta. 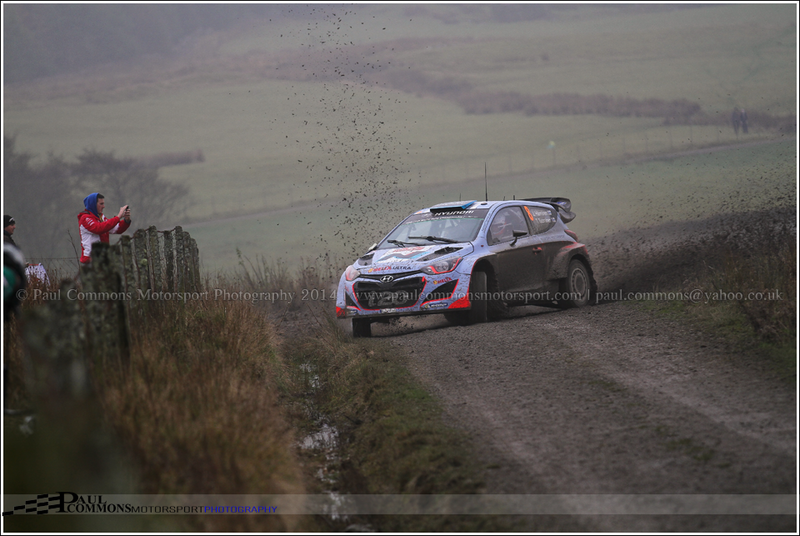 Hayden Paddon brought his Hyundai i20 home in 10th, while the flambouyant Robert Kubica was 11th. Jari Ketomaa put in a strong performance to take the WRC2 victory with 12th overall in his Fiesta R5 and was rewarded with the runner up spot in the WRC2 championship. With the rain starting to come down a little more persistently we made the long walk back across the dam to the car and surprisingly the car parks had cleared pretty quickly, allowing for a relatively quick journey home and time for that much needed toilet stop! £65 for three days of world level motorsport is very good value for money. The fantastic Marshals were much friendlier and more relaxed than previous years allowing for easier access into the stages. Genuine variety of machinery at the sharp end of the field. 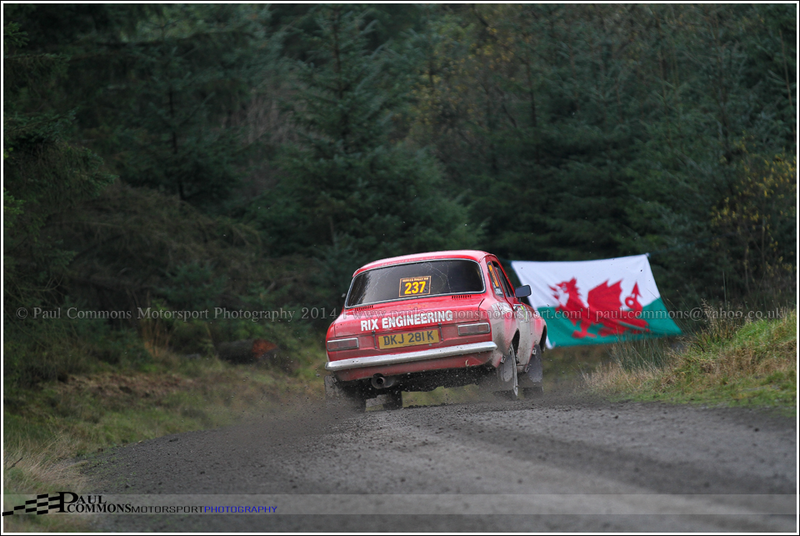 Nice to see a proper night stage in Dyfnant 2. Full stage maps provided to the spectators via the event program! 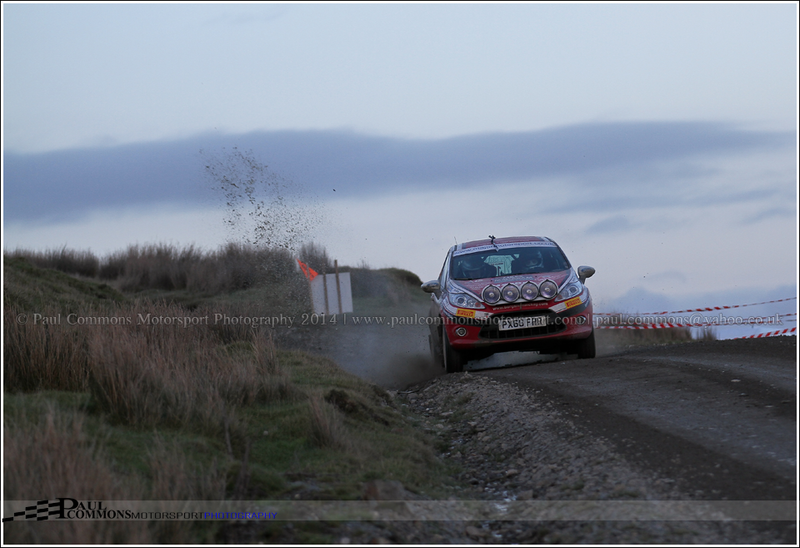 The parking in the joined up Alwen/Brenig stages worked incredibly well. Many will disagree but I am still not sure the current specification of WRC car is as exciting/breathtaking to watch as previous generations. They definitely lack the grunt of their elder siblings. A winning time of just over 3 hours, with no stage longer than 24 kilometres? Call me old fashioned but a world rally championship event should be more about endurance than a sprint. Parking in Dyfnant was a shambles. Sleeping in the car! After what must be 20 previous occasions of doing so I will categorically never do it again. There comes a time when a man just needs a good nights sleep and a clean toilet! The amount of litter left around by some of the absolute scumbags that the WRC attracts. 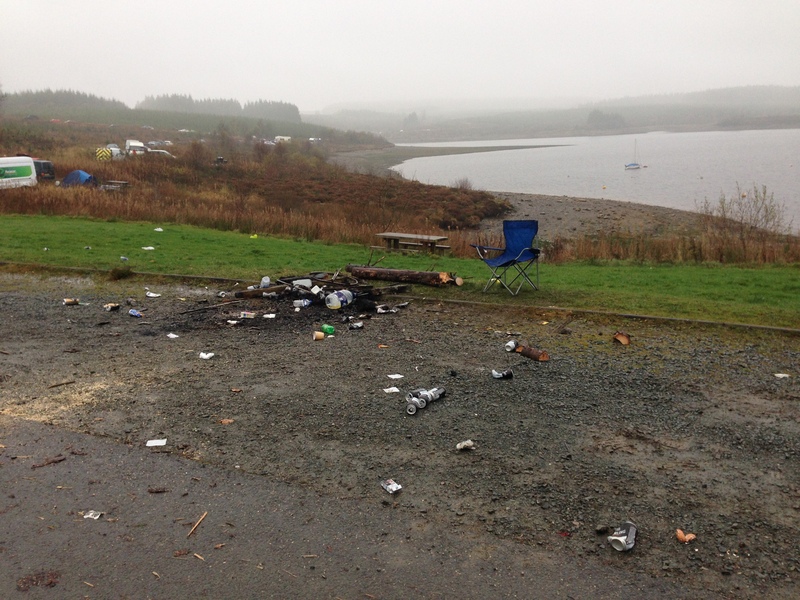 The picture below is what was left by the very same people who kept us awake all night in the Llyn Brenig car park! 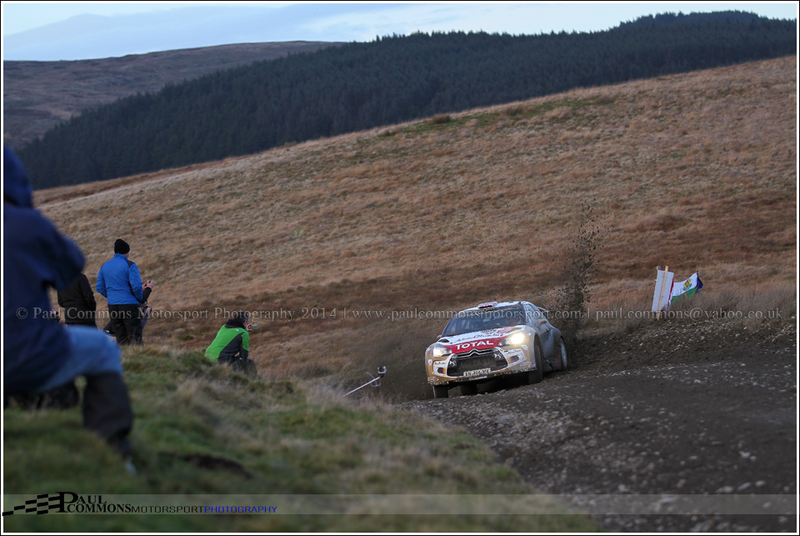 Whilst this was an enjoyable three days in Wales it was by no means the best Rally GB. 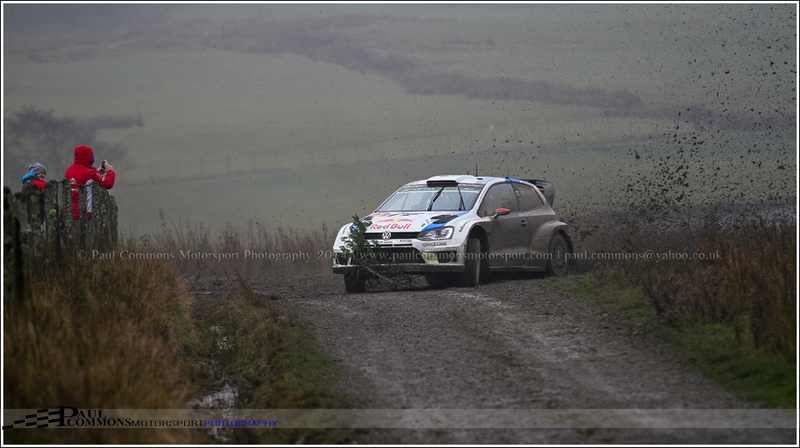 There is a chance that the memory of Jari Matti Latvala winning the Power Stage whilst also collecting his Christmas tree will remain long in the memory …. But it does not compare to seeing McRae destroy all opposition and stage furniture in Dyfi forest in 1997, the iconic images of the same man throwing battered Ford’s through the British forests in the late 80’s and early 90’s or indeed the absolute delight at seeing my sporting hero take the 1995 championship crown. I am praying that one day our great sport will again reach these incredible heights but for now I am happy in the knowledge that in a health and safety mad world it at least appears to be heading in the right direction. For digital images, professional prints or any other requirements please email me at paul.commons@yahoo.co.uk. Great write up and photos Paul, enjoyed reading that.